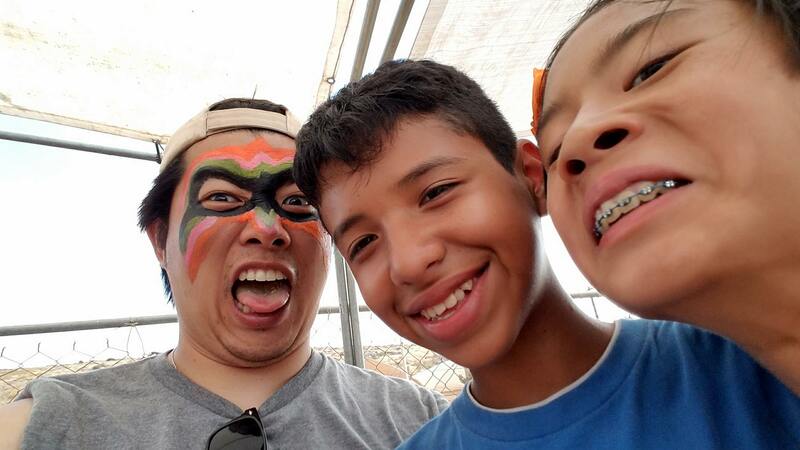 From July 22-28, I joined my home church on a mission trip to Ensenada, Mexico. This was my first time on a mission trip and my first time in Mexico. I didn’t go into this trip with many expectations since I wanted to experience this without high or low hopes. It ended up being a trip with a lot of challenges, lots of changed plans on the fly but also rewarding to be able to serve the children of the city. My perception of a mission trip (along what is most commonly understood) is that a church group will go into a different country and spread their Gospel message to those who don’t know it. This trip was slightly different. We were partnered up with a sister church in the city so the foundation of sharing the Bible was already established. But in a sense, the seed was already planted. We were just there to water. 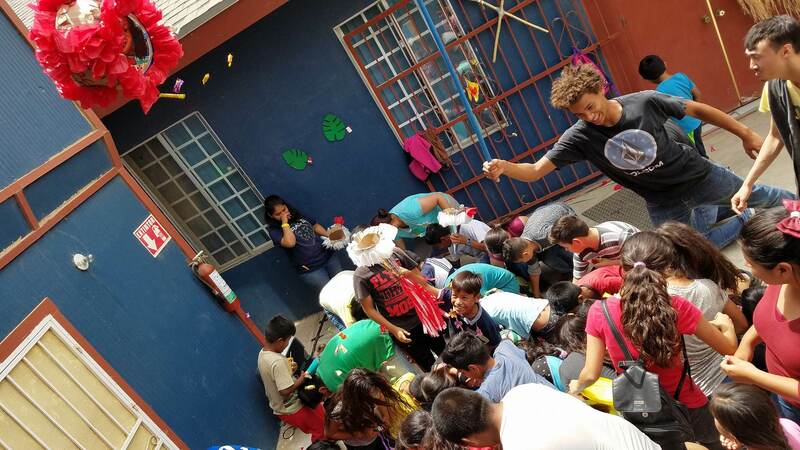 The trip consisted of serving the children and orphans of this small little area in Ensenada. The ages ranged from four years to preteens. 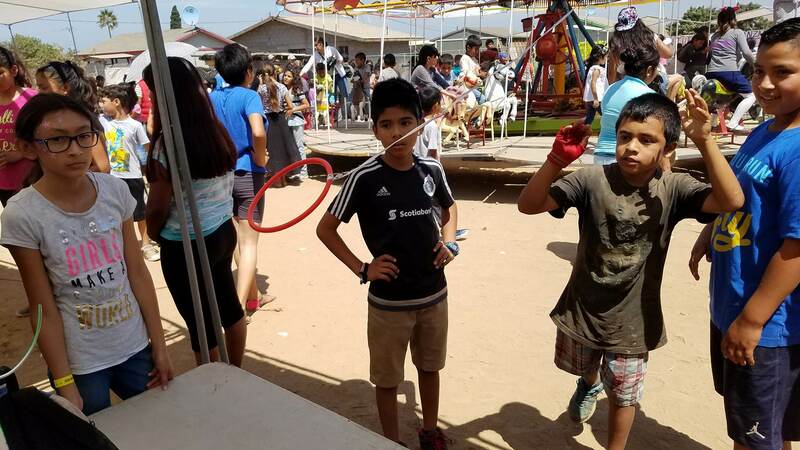 The plan was to offer the children a week of VBS, which is essentially a week of Christian-based activities such as skits, crafts and games. It was a very simple week but there were plenty of challenges that came along the way. Our team consisted of 43 people, which gave us a lot of manpower. Unfortunately a third of our group got sick at the tail end of the week. That didn’t deter us from serving the children. After settling into our camp site the night before, we went out on Sunday to the church to set up the decorations and to also partake in church service. This was an easy day but a necessary day for us to look over the whole area (especially for first-timers like myself) and talk with the pastor to make sure everything was st and ready. The following day was the busy day. On Tuesday, we gathered at the church and sang songs and performed skits. That also led us to an opportunity work on some crafts. The theme of the week was underwater and sea life (with a hint of Moana). This allowed the kids to be creative and interact with our team. It was challenging with the language barrier and only a handful of our team available to translate. Nevertheless, the kids enjoyed the crafts and the free lunch we provided. It’s hard for these orphans to have this much kind of interaction and attention all at once. But it was clear that these challenges were worth it for these children. Throughout the week in the afternoon, we all participated in outdoor games of Hot Potato, Stomp the balloon, Steal the bacon, ring toss and dodgeball. No matter where you are from, throwing rubber balls at one another remains as one of the most fun things you can do on the playground. It was so fun for me as well to play these game with the kids. On Wednesday it was the best day as we all essentially had water fights with the children. They all loved getting soaked. Even though clean water is a luxury in these parts, we were fortunate and blessed to have water that we afford to play with and help cool off. This all helped lead us up to the final day, which I will tell more about. But one thing that we also did that I was particularly excited about was the piñatas we had for the kids. There is a thrill of trying to hit a piñata and getting all the candies for everyone. It was a joy seeing the children trying to get the candy. Some of these kids may have never had a piñata growing up so this was special for them. Before I detail you about the big final day, can I just tell you about how delicious the food is? Huaraches and tortas and tostadas and menudo! Delicious! Our team stayed at a camp site (tents, sleeping bags, bathrooms with no sinks or toilet paper) where other churches from California also stayed. Each church partnered with another church in the area so every morning we would go out to our sites to serve. But at night when we return and in the morning after breakfast, we all gather together and spend time singing worship songs and praying together. It was good for us to really get our minds and hearts right before going out to the mission field. And let me tell you, the view was gorgeous! Our final day was going to be extremely challenging because we decided to take a risk and try to execute a full carnival for the children. Many of these children have never experienced something like this and for us, it was going to be a big on us financially, physically and spiritually. 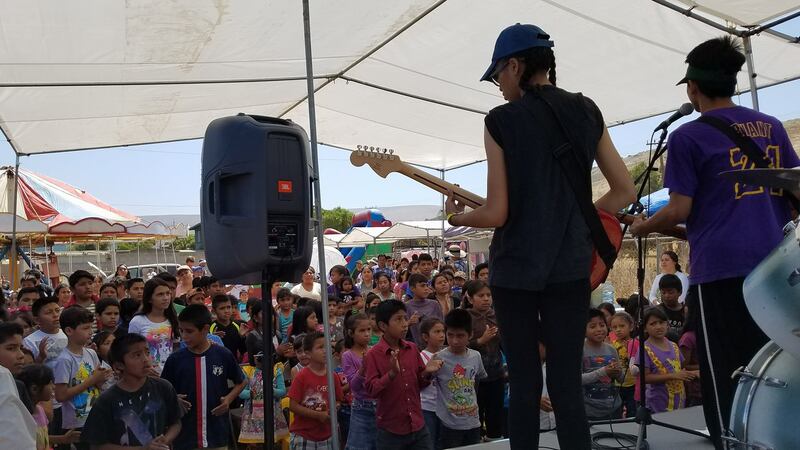 With some of our team sick, it was going to difficult for us to have a full band go along with enough people power to hold down game and face painting booths, make sure all kids were fed and hydrated along with keeping everyone entertained. We rented out a whole open field area where we set up two bouncy houses, a space for a carousel and enough canopies and tables to help host games. Additionally we had a stage for the band and skit performers to entertain the kids. The Lord truly did bless us in making sure we had all that we need to provide a full-day of activities. But we did it! One of the biggest takeaways from this whole day was that the kids are very grateful. They were able to hear the Gospel of our Christian faith. Some may be familiar with it and some may be hearing it for the first time. What was important to me was that we were able to give them hope. Hope in the faith and also a hope in believing that there are people out there who care about them. It’s tough to say goodbye and that was what I had to go through on the final day. This is Santiago (middle). He and I got real close during the week. He would always seek me out and we would talk. Even though my Spanish was limited, I was able to teach him some English and he taught me some Spanish. He was always smiling. This photo is from our final day. We bonded so much that I ended up calling him my hermano (brother). He didn’t want to say goodbye and we both ended up embracing and crying together. It was so hard to say goodbye. Perhaps he had never had this much fun in his life and this was the first time he had a friend who enjoyed hanging out with him. I do hope that if the opportunity for me to return comes up, I can go and see him again. I don’t know what the future will hold. That’s what made this so emotional for both of us. The future is uncertain if we would ever see each other again. But I do hope that he and the rest of the kids got to see who God is and what God is all about. I do hope that the activities helped show them about a faith they can have. I do hope that we were able to provide and show them the kind of love they may have never known was possible. I do hope I have the chance to go back. I had never gone on a mission trip and this was an experience I was glad to have had. I have always loved serving young children and it brought me back to the old days when I used to volunteer at a summer camp. The camping was great since I used to go camping as a child. The food was great. The whole experience and being away from my regular life was so rewarding. I may have been physically exhausted by spiritually filled by this. God bless these children. I pray for the best in their lives. This entry was posted in Miscellaneous and tagged Mexico, Mission Trip. Bookmark the permalink.